Open the collapsible menus below to find the serviceman required. Grave Ref: V. K. 4. Additional Information: Lodger with Patrick and Margaret Hopkins (nee Lynch, m. 1890, registered Dewsbury). Parents not found. Serving in Militia on outbreak of war. Medal Entitlement: The 1914 Star + Clasp. The British War Medal, 1914-18. Victory Medal. Grave Ref: Pier and Face 4 D.
Additional Information: Son of Patrick and Margaret Hopkins (nee Lynch), 23 Fleming Street. Emigrated to America in 1912. Employment: Prior to emigrating, Finishing Dept of Messrs. J & J Stubley of Bottoms Mills. Medal Entitlement: The 1914-15 Star. The British War Medal, 1914-18. Victory Medal. Grave Ref: I. R. 17. Grave Ref: XXXIII. B. 22. Medal Entitlement: The British War Medal, 1914-18. Victory Medal. Grave Ref: Panel 97 and 98. Additional Information: Husband to Ellen Hough (nee Burke, m. Oct 1912, registered Dewsbury). Former Territorial. Grave Ref: Panel 84 to 92 or 220 to 222. Grave Ref: Pier and Face 2 A 2 C and 2 D.
Residence: 60, Wood Terrace, Warwick Rd., Batley, Yorks. Additional Information: Son of Edward and Annie Howard (nee Wright, m. 24 Jan 1889, Batley All Saints). Grave Ref: I. K. 15. Name: HOWARD. K.O.Y.L.I, John W.
Residence: 11, Victoria St., Batley Carr, Batley, Yorks. 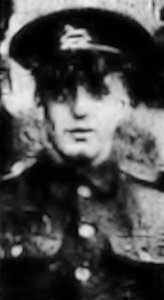 Additional Information: Son of Herbert & Lizzie Howe (nee Riley) of 11 Woolhill Cottages, Victoria Street, Batley Carr Discharged in Mar 1917 to take up work of National Importance (seemingly at Shaw Cross Colliery). 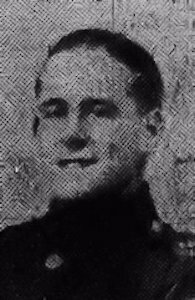 Recalled Apr 1918, Disembarked France Jul 1918. 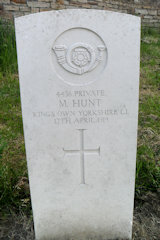 Additional Information: Son of Herbert & Lizzie Howe (nee Riley). 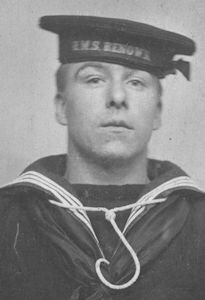 Enlisted in Royal Navy 1912. Took part in the Battle of Heligoland Bight on 28 Aug 1914. 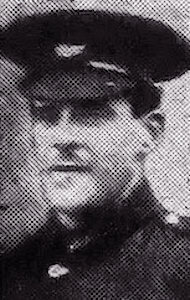 His pal, Thornton Parker died with him and is commemorated on Dewsbury War Memorial. 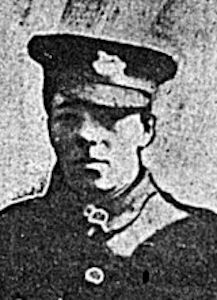 Lizzie remarried to Benjamin Austin, 1914, registered Dewsbury. Employment: Worked for Mr S Naylor, Coal Merchant, Batley Carr, up to 1912. Grave Ref: Bay 2 and 3. 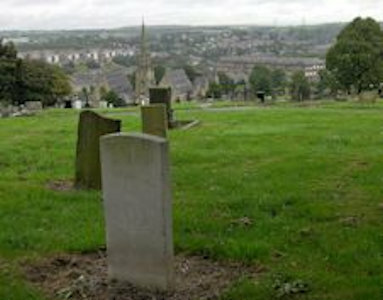 Grave Ref: Pier and Face 11 C and 12 A.
Residence: 2 Yard 3, (Avison’s Yard), Commercial St., Batley, Yorks. Additional Information: Son of Mrs. Hannah Hudson (nee Ineson) and the late Isaac Hudson. Pal of James Arthur Stancliffe. Employment: Finisher, Brooke Jubb & Co Ltd. Grave Ref: II. A. 2. 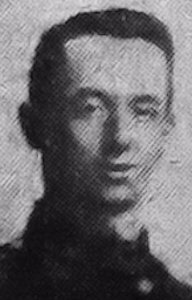 Additional Information: Son of William Hudson, of 115, Highfield Cottages, Commonside, Hanging Heaton, Batley. Medal Entitlement: The 1914 Star. The British War Medal, 1914-18. Victory Medal. Residence: 5 Brearley Street, Mount Pleasant, Batley, Yorks. Additional Information: Son of Mr John & Eliza Jane Huggins (nee Butterwood, m. 31 Mar 1877, Womersley St Martin) of 3 Brearley Street, Mount Pleasant, Batley. 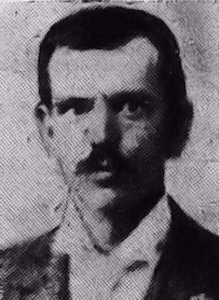 Husband of Bertha Huggins (nee Chambers m. Jun 1902). Grave Ref: III. J. 17. Residence: 17, Victoria St., Carlinghow, Batley, Yorks. 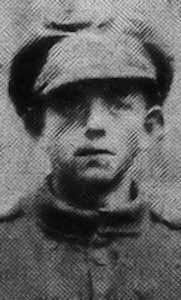 Additional Information: Son of James and Bridget Hughes (nee Kearney), of 9 Coal Pit Lane, Carlinghow, Batley. Grave Ref: II. E. 55. 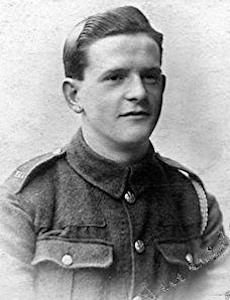 Additional Information: Son of Arthur and Sarah Ann Hughes (nee Hogg, m. 1887, registered Chorlton, Lancashire) of Manchester. Grave Ref: V. E. 8. Residence: 114 Halifax Road, Staincliffe, Batley. Additional Information: Son of Sarah Elizabeth Humphrey (nee Metcalf, m. 1884, registered Dewsbury) and the late William Humphrey. Grave Ref: II. J. 16. 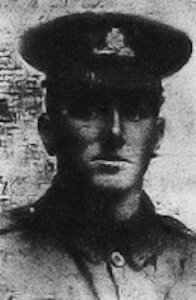 Additional Information: Son of Joshua and Hannah Hunter, of Upper Bracken Farm, Shelf, Halifax, Yorks. Grave Ref: II. 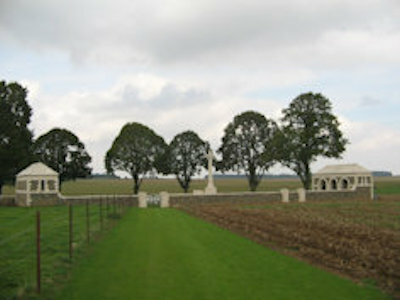 C. 11. Residence: 28, Wellington St., Batley, Yorks. Additional Information: Son of Thomas Hunter and the late Elizabeth Hunter (nee McClelland, m. 24 Dec 1885, Chorley, St Laurence, Lancashire) of Chorley, Lancs. 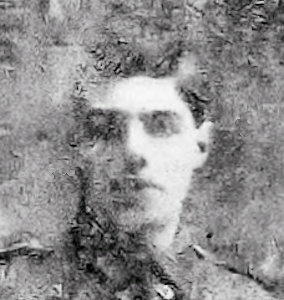 Husband of Sarah Ann Hunter (nee Wigglesworth, m. 1915, Bradford). Mother-in-Law: Mrs Wroe, 28 Wellington Street, Batley. Father Thomas remarried to Lucy Bailey 1903. Medal Entitlement: The Territorial Force War Medal, 1914-1919. The British War Medal, 1914-18. Victory Medal. Grave Ref: III. O. 36. Additional Information: Son of Lister Idle and Mary Emma (nee Windle, m. 24 Sep 1898, Earlsheaton, St Peter) of 10 Woodwell Street, Batley. Enlisted at 16 of age, but parents obtained discharge. Additional Information: Son of Josiah and Jeanette Idle (nee Stubley, m. 3 Mar 1851). 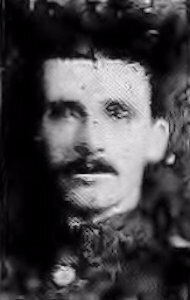 Husband of Mary Emma Idle (nee Windle, m. 24 Sep 1898, Earlsheaton, St Peter). Eight years overseas service in 1890’s. Served in BOER war as a reservist. 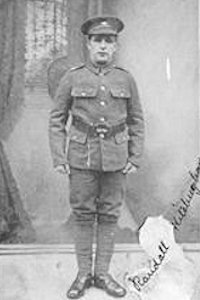 Enlisted in KOYLI on 3 Sep 1914 but discharged on medical grounds 15 Mar 1915. Re-enlisted and served abroad for 5 weeks before repatriation. 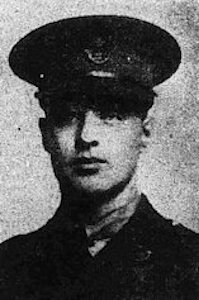 Father of Fred Idle (Killed in Action 6 Sep 1918). Grave Ref: Panel 42 to 47 and 162. Additional Information: Son of the late Thomas Illingworth and Emily Illingworth (nee Booth, m. 25 Dec 1890, Carlinghow, St John) of 11, Sykes Street, Healey, Batley. 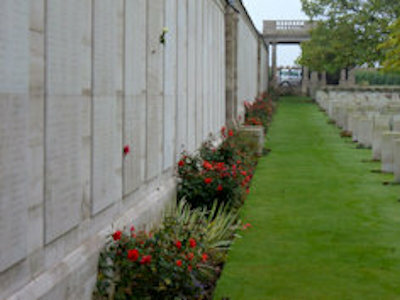 Disembarked: 14 May 1915. 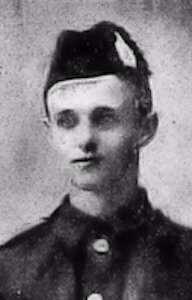 Discharged 28 Mar 1917, no longer physically fit for war service, mitral regurgitation (heart disease), rheumatism & Shell Shock after being torpedoed. 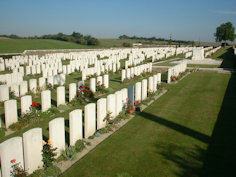 How Died: Died at home after war as a result of war service. 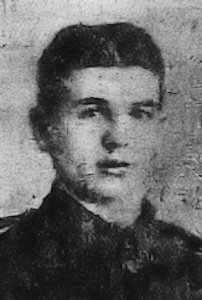 Additional Information: Son of Isacc Midgley Ineson and Ruth Ineson (nee Asquith). 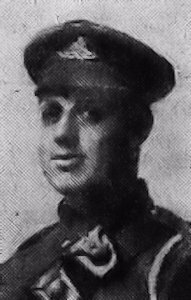 Husband to Florence Annie Ineson (nee Dawson, m. 1918 Stamford, Lincolnshire). Enlisted as an Infantry Medical Orderly before transfer to a Hospital Ship. Roll of Honour: All Saints Parish Church Batley; Temperance Hall – Smithies Lane, Birstall; Independent Order of Rechabites, Hope of Birstall Lodge. Grave Ref: III. C. 26. Additional Information: Son of Samuel and Sarah Ineson (nee Fisher) of Belle Vue Street, Healey. Emigrated to America after living in the South of England. Travelled 1000 miles to enlist in Canada. Grave Ref: IV. L. 29. Residence: Cardigan House, North King St., Batley, Yorks. Additional Information: Son of William and Annetta Ineson (nee Milnes, m. 3 Jan 1884, Dewsbury, All Saints) of High Street, Hanging Heaton (later North King Street, Batley). William first married Elizabeth Firth, 9 Feb 1869, Batley All Saints. Additional Information: Son of Herbert and Lydia Ann Ineson (nee Earnshaw, m. 1880, registered Dewsbury) of 72 Wellington Street. Husband of Leah Ineson (nee Reid, m. 6 Nov 1909, Dewsbury, All Saints). Leah died Dec 1916. 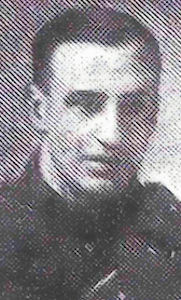 Ernest also served in Salonika. Grave Ref: VI. F. 39. Grave Ref: XXI. B. 7. Additional Information: Son of Emma Ineson, Back Birch Street, Carlinghow. 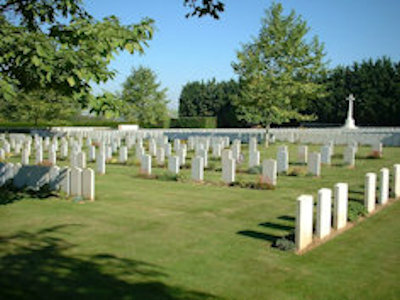 Grave Ref: I. K. 5. 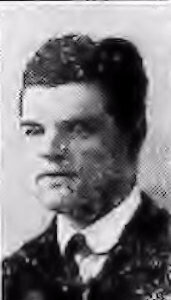 Additional Information: Son of Frederick and Alice Ineson (nee Walker, m. 1881 registered Dewsbury) of “Caledonia Mount,” 1 Bath Street, Batley. Engaged to Miss Ella Blakeley of Mount Pleasant, Batley. 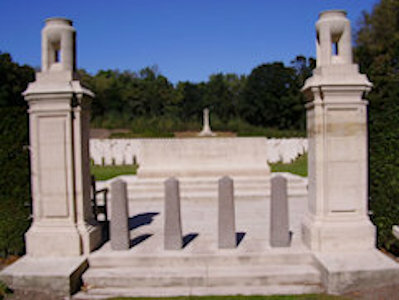 Commissioned Feb 1917. Brother of William. 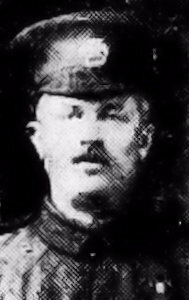 Additional Information: Son of Frederick and Alice Ineson (nee Walker, m. 1881 registered Dewsbury) of “Caledonia Mount,” 1 Bath Street, Batley. Engaged to Miss Dorothy Turner of Oatland Villas, Batley. Brother of James Walker Ineson. Grave Ref: I. Z. 10. Additional Information: Son of Ernest and Jane Elizabeth Ineson (nee Thresh, m. 30 Jan 1886, Batley, St Thomas) of Carlinghow Lane, Batley. 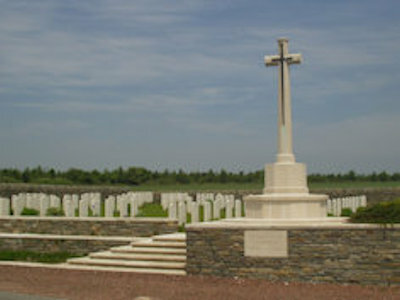 Grave Ref: V. E. 23. Additional Information: Son of James Lord Ineson and Caroline Ineson (nee Thompson, m. 25 Feb 1883, Batley All Saints) of Hume Street, Batley. 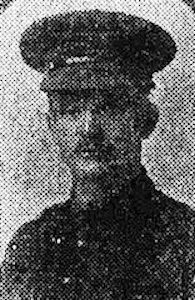 Husband of Amy Ineson (nee Pollard, m. 11 Apr 1914, Batley All Saints). Grave Ref: II. E. 10. Residence: 14, Queen Street, Batley. Additional Information: Son of Robert and Edith Ingleson (nee Pearson, m. 5 Feb 1898, Batley, All Saints) of 14 Queen Street, Batley. Grave Ref: I. E. 13. Additional Information: Son of Thomas and Alice Inman (nee Garner). Husband of Elizabeth Rhodes m. 5 Apr 1913 St Andrews, Purlwell. Employment: Finishing Department, Brooke, Wilford & Co. Grave Ref: Panel 136 to 138. Grave Ref: North-East part A 1602. 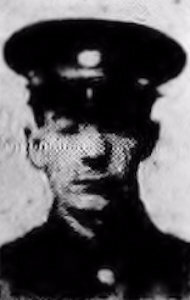 Additional Information: Son of William and Ann Jackson (nee Rodgers, m. Jun 1889, Birstal St Peter) of 71 Bradford Road, Batley. Grave Ref: V. A. 3. Additional Information: Son of Henry and Adeline Jackson (nee Megson, m. 6 Oct 1894, Dewsbury All Saints) of Batley. 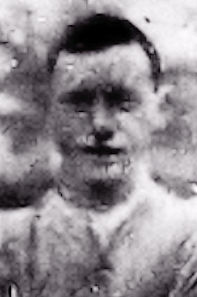 Member of Batley Clarence Northern Rugby Union Intermediate League Championship winning team. Employment: John Fenton & Sons. Grave Ref: III. B. 3. Additional Information: Son of the late Joseph Jackson and Elizabeth Jackson (nee Aspinwall, m. 30 Nov 1869, Halsall, Lancashire). Husband of Caroline Jackson (nee Ellis, m. 5 Aug 1905, Dewsbury All Saints). Former regular soldier. Employment: Partner, Batley & District Window Cleaning Co. Grave Ref: XVI. J. 6. Additional Information: Son of Tom and Elizabeth Ann James (nee Flethcher, m. 1883, Barnsley) of 26, Norfolk St., Batley, Yorks. Grave Ref: XI. A. 2. Additional Information: Son of Harriett Ann Jaques (nee Whitehead, m. 18 Apr 1892, Hanging Heaton) of 87, Common Side, Batley, and the late John William Jaques. Unit/Rgiment: Durham Light Infantry ?? Additional Information: Son of William Jessop and the late Margaret Lillie Jessop (nee Robb). Brother of Willie Jessop. Husband to Mary Jessop (nee Finneran, m. Q2 1912). 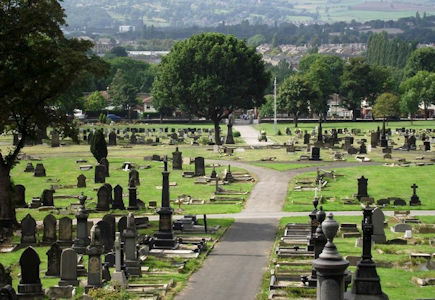 Mary Died & Burried 20 Nov 1913, Batley Cemetery, L 455. Grave Ref: Panel 6 and 7. 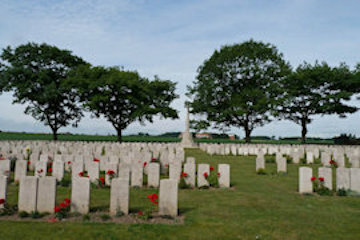 Additional Information: Son of Richard Jessop and the late Emma Jessop (nee Harrison, m. 18 May 1891, Huddersfield, Rashcliffe, St Stephen and Primrose Hill, St Matthew). 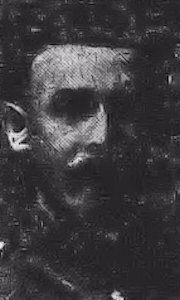 Richard later remarried to Elizabeth Jessop (nee Birkhead, m. 10 Oct 1908, Hanging Heaton, St Paul). Employment: J T & J Taylor, Blakeridge Mills. Previously worked as a Presser at Messrs. George Jessop & Sons, Batley. How Died: Killed in Action. Killed by an exploding shell whilst shaving. Grave Ref: IV. D. 11. Additional Information: Son of William and Margaret Lillie Jessop, brother of Alexander Jessop. 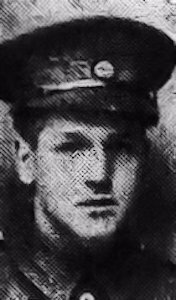 Husband of Sophia Jessop (nee Colbeck, m. Sep 1909, Dewsbury). How Died: Died of Wounds. 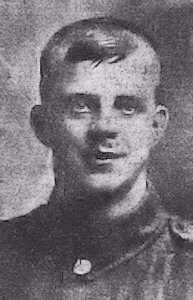 Sustained head wound on 26 Sep 1916. Grave Ref: III. B. 1. 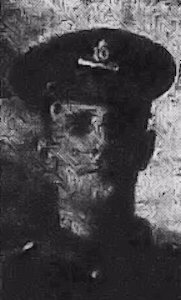 Additional Information: Son of Robert Brearley Johnson and Mary Ellen Johnson (nee Wardman, m. 18 Nov 1892, Dewsbury, St John’s) of School Lane, Dewsbury Moor. Medal Entitlement: Military Medal. The 1914-15 Star. The British War Medal, 1914-18. Victory Medal. 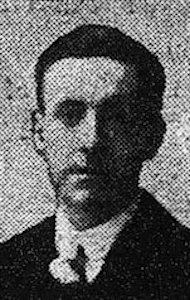 Obituary: Batley News, 14 Oct 1916 (photo). Military Medal listed in London Gazette 9 Dec 1916. Grave Ref: IV. N. 8. Additional Information: Son of Elizabeth Johnson (nee Holtby). 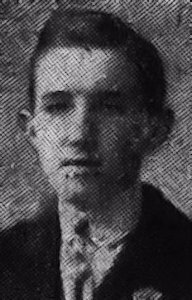 Stepson to George Willian Clark (m. 17 Oct 1896, Birstall St Peter). 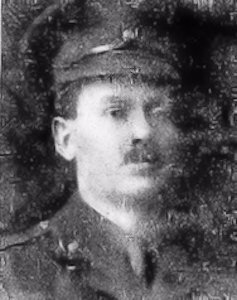 Husband to Ellen Johnson (nee Barber, m. Apr 1916, Dewsbury). How Died: Died from Disease, Basra, Mesopotamia. Grave Ref: IX. 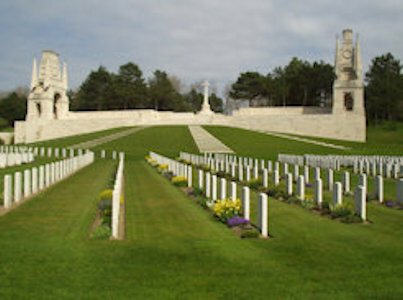 C. 10. Additional Information: Son of John and Hannah E Joy (nee Forsyth, m. 25 Dec 1869, Birstall, St Peter). 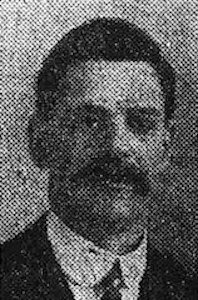 Husband of Sarah Ellen Joy (nee Riley, m. 31 Oct 1909, Earlsheaton, St Peter). Reservist on outbreak of war. Native of Staincliffe. 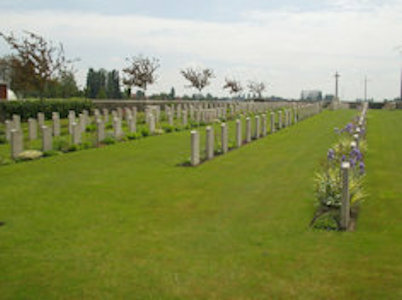 Grave Ref: Panel 54 to 60 and 163A. 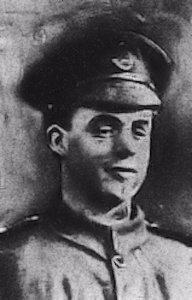 Additional Information: Son of Newsome and Annie Jubb (nee Smith, m. 24 Jun 1891, Birstall, Wesleyan Chapel) of Geldard Road, Birstall (former licensees of the Coach & Six). How Died: Missing, presumed Killed in Action. Last seen leading a bombing sortie. Residence: Southfield, Upper Batley, Batley, Yorks. Additional Information: Son of Arthur Alma Jubb and Mary Ellen Jubb (nee Critchley, m. 7 Jul 1880, Batley, St Thomas). 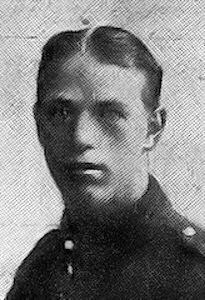 Husband of Gertrude Jane Jubb (nee Barnby, m. Sep 1915, Sculcoates). How Died: Killed in Action. Sniped whilst wiring. Grave Ref: III. F. 16. Additional Information: Son of John Joseph and Matilda Jubb (nee Sheard, m. 27 Aug 1871, Batley, St Thomas) of Blenheim House, Batley and Holbeck Hill, Scarborough. Father was ex-mayor of Batley. Husband to Mabel Jubb (nee Poppleton, m. Oct 1915, registered Knaresborough). How Died: Died of Wounds, gas poisoning. Grave Ref: I. K. 29. Additional Information: Son of Patrick and Kate Judge (nee Madden). Brother of Batley footballer Paddy Judge. Grave Ref: XII. 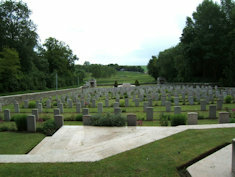 C. 10. 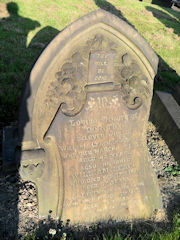 Additional Information: Son of Jesse and Sarah Ann Kaye (nee Parkinson, m. 1872, registered Dewsbury). 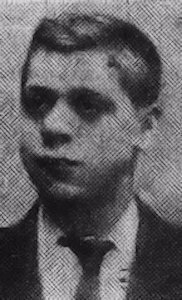 Husband of Annie Kaye (nee Epton, m. 3 Aug 1907, Rashcliffe St Stephen). Employment: Taylor, Yielding & Co. 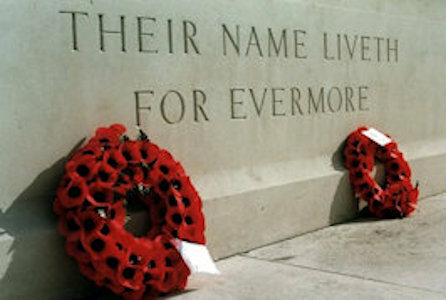 Roll of Honour: Also on Birstall War Memorial. Associated with Birstall Temperence Society and Wesleyan Chapel. Residence: 8, White Terrace, Batley. 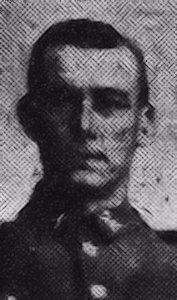 Additional Information: Son of Joseph and Jane Kellett (nee Drable, m. Sep 1892, Dewsbury) of Carlinghow Lane, Batley. Additional Information: Suspect son of John and Annie Kelly (nee Trainer). 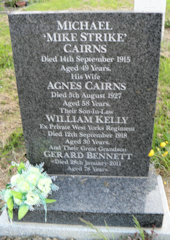 Husband of Mary Kelley (nee Cairns, m. Feb 1911, Batley St Mary’s). Death not attributed to military service. Never served overseas. Residence: 15, Osborne Terrace, Batley, Yorks. 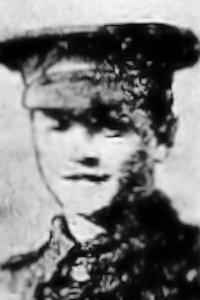 Additional Information: Son of William and Elizabeth Kemp, of 15, Osborne Terrace, Batley, Yorks. Grave Ref: Pier and Face 7 A and 7 B.
Residence: At some point he was living at Kilpin Hill, Batley. Additional Information: Son of Thomas Kendrick and the late Mary Eliza Kendrick (nee Wortley, m. 21 Nov 1875, Leeds, St Peter) of Bury Square, Thornhill Lees. How Died: Killed in Action. Shot during an advance through no-mans-land. Grave Ref: Panel 113 to 115. Additional Information: Son of Ramsden and Florence Kershaw (nee Hirst, m. 4 Aug 1888, Batley St Thomas) of Oak Dene, Soothill. Husband of Florence Kershaw (nee Parkin m. 11 Sep 1911, Hanging Heaton St Paul). Employment: Assisted Father, Bootmaker/Repairer, Ashworth Road, Dewsbury. How Died: Killed in Action. 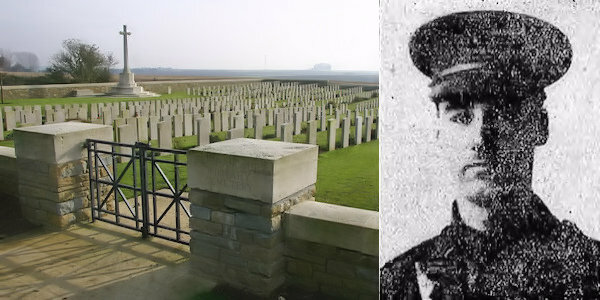 Killed when Battery hit by enemy shellfire at Ypres. Grave Ref: III. E. 4. Birth Place: Blarney, County Cork. 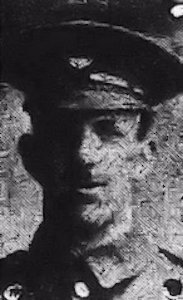 Additional Information: Son of Mary Ellen Kershaw (nee Freeman, m. 1886, registered Wigan) and the late Thomas Kershaw (d. 23 Nov 1918). Enlisted whilst studying at Leeds Teacher Training College. Grave Ref: II. B. 7. Residence: 12, Rink Terrace, Mount St., Batley, Yorks. Additional Information: Son of Francis and Mary Ann Key (nee Barks, m. 1891, registered Sleaford) of Great Hale, Sleaford, Lincs. 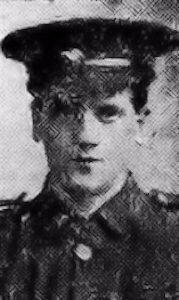 Husband of Hilda Key (nee Beals, m. Dec 1915, Dewsbury). Grave Ref: Pier and Face 14 A and 15 C.
Additional Information: Son of the late Thomas Ellis Key (d. 23 Dec 1908) and Sarah Key (nee Smith, m. 25 Jun 1876, Birstall, St Peter). Lived with sister, Mrs Crawshaw, at 19 Dewsbury Gate Road, Staincliffe. 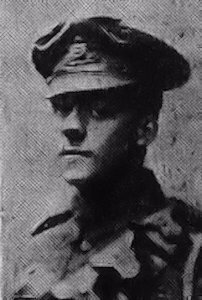 Obituary: Batley News, 16 Dec 1916, 23 Dec 1916 (photo),23 Jun 1917 (photo), 17 Mar 1917. Grave Ref: XXXI. C. 8. Additional Information: Son of Thomas and Bridget Kilkenny (nee Brannan, m. 1872, registered Dewsbury). Husband to Margaret Jessie Kilkenny (nee Richardson, m. 1909, registered Dewsbury). 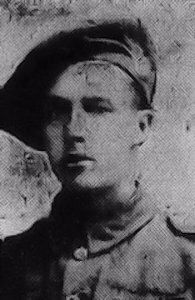 Wounded 8 Nov 1917. Grave Ref: I. D. 37. Additional Information: Son of William and Miriam Killingley (nee Weavill, m. 6 Jul 1889, Batley All Saints). 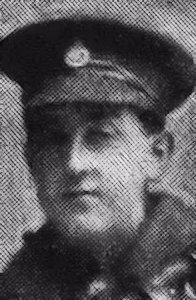 Husband to Harriet Killingley (nee Ingram, m. Oct 1915, registered Dewsbury). Wife is nurse at Staincliffe Base Hospital. 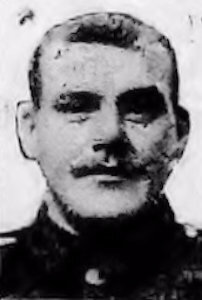 How Died: Died of Wounds, wounded 2/11/1914 and left leg later amputated. Additional Information: Son of Elam & Mary King (nee Burns, m. 25 Aug 1895, St Paulinus, Dewsbury) of 34 Albert Street, Batley Carr. Grave Ref: III. F. 1A. Additional Information: Son of Arthur and Amelia Kitchingman (nee Clarkson, m. 1891, registered Dewsbury) of Coxhoe, Co. Durham. How Died: Struck down with appendicitis whilst home on leave. Died in Batley Hospital. 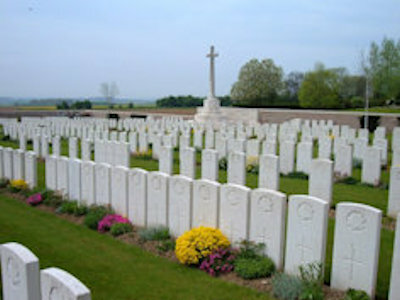 Additional Information: Son of Harry and Annie Kitchingman (nee Ward, m. 21 Jun 1884, Thornhill Lees, Holy Innocents). 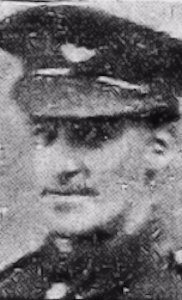 Husband of Nellie Kitchingman (nee Smith m. 26 Oct 1912 Batley Carr Holy Trinity). Grave Ref: Panel 82 to 85 and 162A. 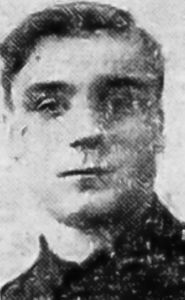 Additional Information: Son of Timothy and Sarah Florence N. Kitson (nee Jackson, m. 1883, registered Dewsbury) of Glen Villas, Bradford Road, Batley, Yorks. 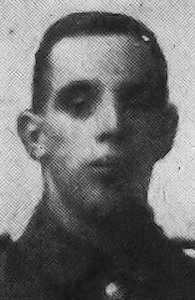 Brother of William Kitson (D of W 28 Jun 1918). 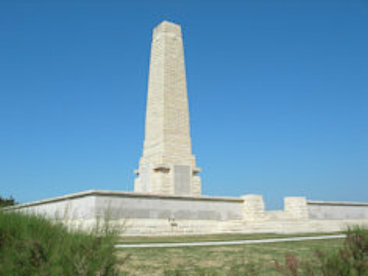 Commissioned Oct 1917. 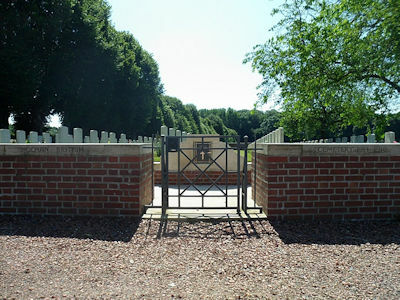 Grave Ref: I. C. 4. 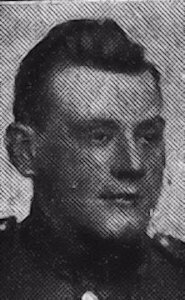 Additional Information: Son of Timothy and Sarah Florence N. Kitson (nee Jackson, m. 1883, registered Dewsbury) of Glen Villas, Bradford Road, Batley, Yorks. 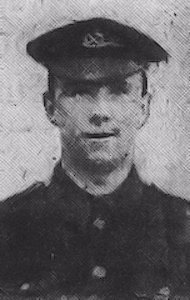 Husband of Eva Kitson (nee Ainsworth, m. Apr 1916, Dewsbury) of Batley, Yorkshire. Brother of John Kitson. Grave Ref: III. E. 38. Additional Information: Son of Ernest and Jane Ann Knowles (nee Harrison,m. 1898, Dewsbury), of Batley, Yorkshire. Grave Ref: III. K. 7. 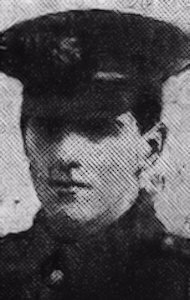 Additional Information: Son of George and Mary Ellen Labourn (nee Bollon, m. 29 Nov 1890, Hanging Heaton, St Paul) of Soothill Lane, Batley. Additional Information: Son of Charles and Jessie Mary Laird (nee Young, m. 8 Jun 1880, registered Glasgow) of West Park Road, Healey, Batley. 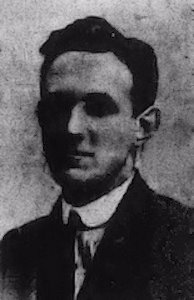 Husband of Ethel Laird (nee Craig, m. Dec 1910, registered Dewsbury). 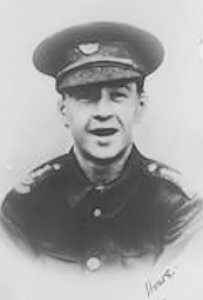 Additional Information: Son of James and Mary Lang (nee Miskill, m. 1895, registered Dewsbury) of Bunkers Lane, Staincliffe. Grave Ref: XIV. D. 20. Additional Information: Son of Giblen and Ada Law (nee Drake). Husband of Dorothy Law (nee Ottowell, m. 13 Apr 1914, Hanging Heaton St Paul). Grave Ref: VII. D. 12. Additional Information: Son of John and Annie Pender Law (nee Wilson, m. 1875, Registered Leeds) of Bradford Road, Batley. 16th Bn. attd. 93rd/1st Trench Mortar Bty. 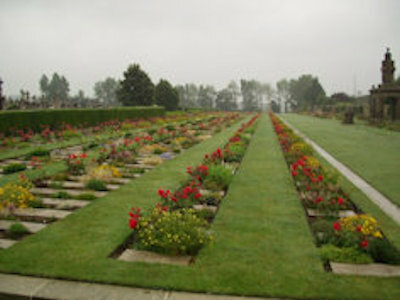 Grave Ref: Plot 1. 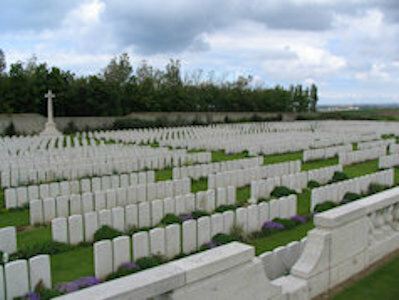 Row C. Grave 11. Additional Information: Son of George Wright and Edith Laxton (nee Thornton, m. 20 Sep 1889) of Batley, Yorks. 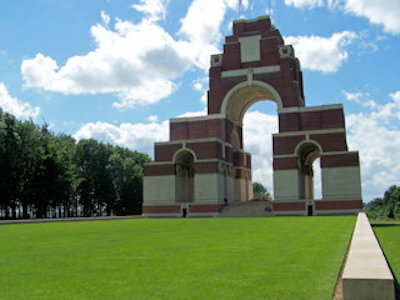 Commissioned 25 Jun 1915 in 16th Bn., West Yorkshire Regiment. Grave Ref: E. “U” 293. 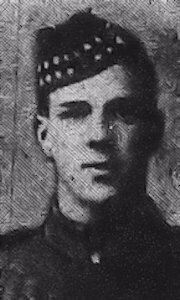 Additional Information: Son of William Leach and the late Dorothy (nee Nicholson) Leach. Grave Ref: I. A. 14. 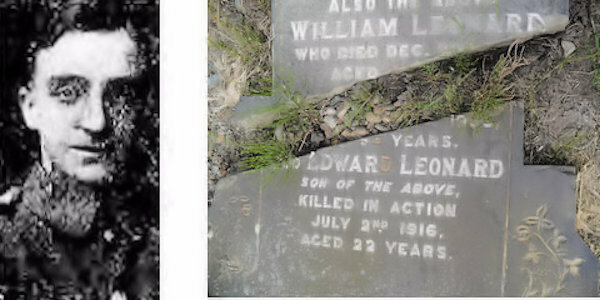 Additional Information: Son of George Robert and Eliza Leach. 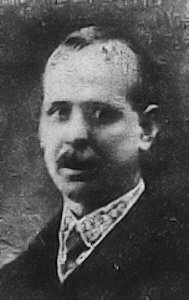 Husband of Frances Ann Leach (nee Messenger, m. 17 Sep 1910, Hanging Heaton St Paul). Grave Ref: Panel 108 to 111. Additional Information: Son of William Henry & Harriett Leather (nee Haley, m. 25 Dec 1891, Batley All Saints). 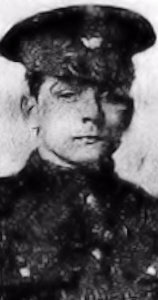 Enlisted under age 2 weeks after the outbreak of war. Grave Ref: I. “U” 230. Grave Ref: Panel 63 to 65. Residence: 17, Cobden St., Batley, Yorkshire. 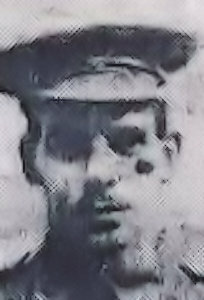 Additional Information: Son of Walter and Hannah Lee, of 17, Cobden St., Batley, Yorkshire. Grave Ref: Panel 9 and 10. Additional Information: Son of Alfred and Emily Lee, 64 Bradford Road, Batley. Death ultimately confirmed by Red Cross. Employment: Weaving Dept., W J R Fox & Sons. Grave Ref: Panel 8 to 15. Residence: 54, King Street, Batley Carr, Batley, Yorks. Additional Information: Husband of Sarah Ann Lee (nee Pearson). 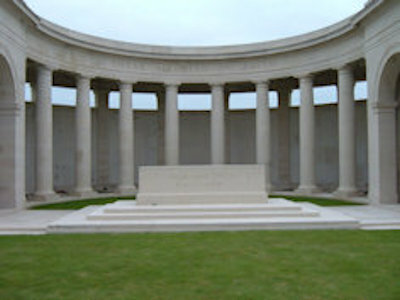 Transferred to RNVR 7 Sep 1914. Employment: Cloth Finisher, J T & J Taylor, Cheapside Mills. Memorial: Batley War Memorial, Plaque No 7. Birstall War Memorial, Addenda. Additional Information: Son of Tom and Hannah Lee (nee Crabtree, m. 26 Jan 1889, Batley All Saints). Husband of Agnes Lee (nee Dickenson, m. 18 Feb 1914, South Crossland Holy Trinity). Additional Information: Son of William and Emma Leonard (nee Dowd) of 24 North Bank Road, Batley. 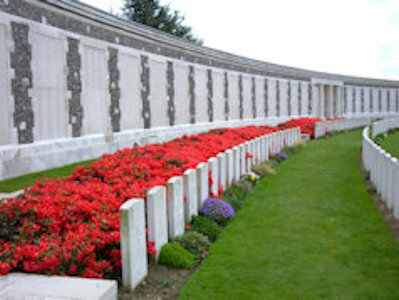 His sister Annie Leonard died of picric acid poisoning 21 Jul 1916, working in the manufacture of shells. How Died: Died of Wounds. 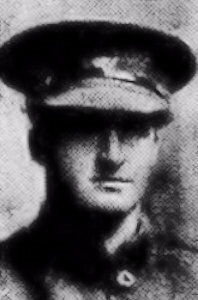 Wounds sustained 1 Jul 1916, spent 130 hours in No Mans Land before regaining touch with his Battalion. Grave Ref: I. D. 19. Residence: 11, Springfield View, Willans Road, Dewsbury. Additional Information: Son of John and Ellen Lightfoot (nee Hanson, m. 3 Mar 1879, Dewsbury Moor, St John the Evangelist). 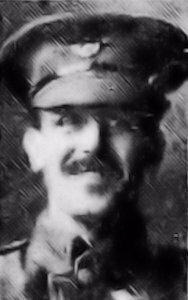 Husband of Harriet Ann Lightfoot (nee Cooper, m. Oct 1910, registered Dewsbury). 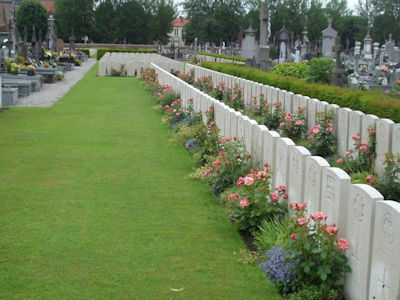 How Died: Died in Captivity, Marpent, Belgium, from influenza & heart failure. Residence: 44, Whitaker Street, Batley, Yorkshire. Additional Information: Son of Joseph and Sabina Lilley (nee Saxton, m. 14/09/1875, Ossett and Gawthorpe, Holy and Undivided Trinity) of Ossett. 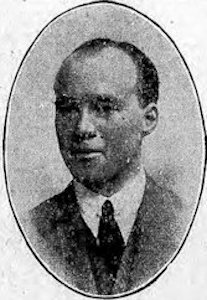 Husband of Martha Lilley (nee Shepard, m. 18 May 1912, Broomhill Chapel, Batley). Died of Spanish Flu/heart failure. Captured at Kimmel on 25 Apr 1918.